Niels Jørgen Relsted is associate professor at Department of Economics and Business Economics in the field of Management Accounting. 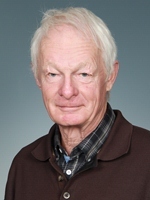 He recieved his MSc in Economics from the University of Aarhus in 1967. His primary research and teaching interests are in Management Accounting Technologies - o.a. Activity based Costing, Balanced Scor Card, Variability Accounting - and in IT infrastructure and ERP systems. J. Flohr Nielsen & N.J. Relsted (1994): A New Agenda for User Participation - Reconsidering the Old Scandinavian Prescription, Scandinavian Journal of Information Systems, Vol. 6, No. 2. N.J. Relsted (1993): Outsourcing og facility management p. 491, Festskrift til Louis Printz (ed. Steen Hildebrandt), Forlaget systime, 1993. N.J. Relsted (1983): Variabilitetsregnskab, databaser og regnskabssystemer, i Det ligger stadig i ledelsen, Essays til Vagn Madsen, Aarhuus Stiftsbogtrykkerie, 1983.